Get exclusive discounts on park tickets at our front desk! Pools, a game room, a Disneyland counter, and more! Stretch Out! 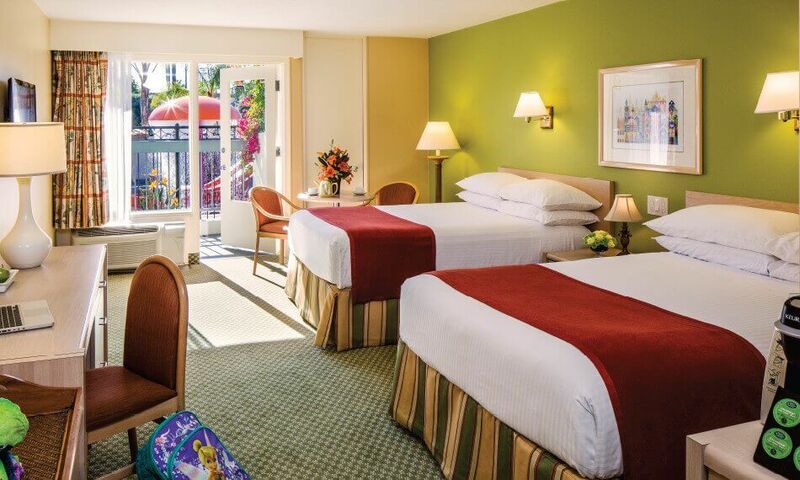 Our rooms are spacious enough for families of 5. 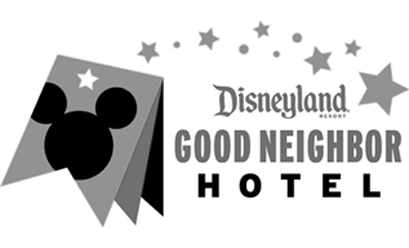 And nowhere else next door to the Disneyland® Resort offers FREE WiFi Access, FREE parking, FREE in-room safe, and premium Keurig coffee makers. 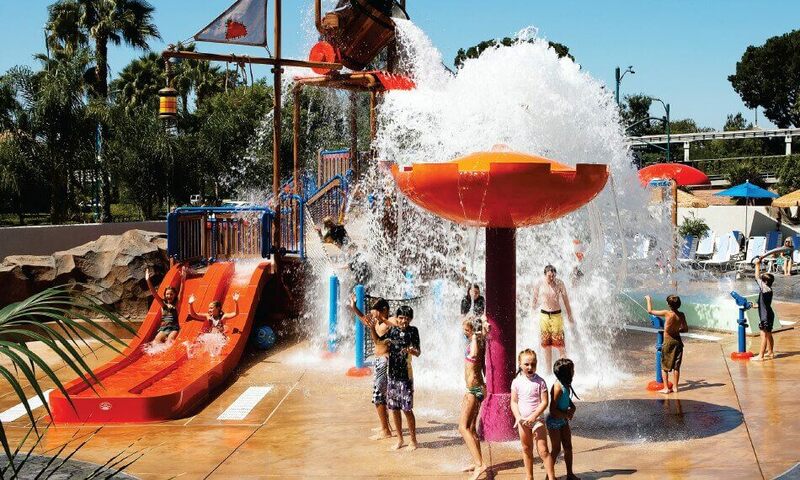 Kids of all ages will enjoy Castaway Cove, a pirate-themed, water playground with slides, water cannons, toddler wading pool, super drench bucket and large Hot Tub Spa. Don’t miss the Garden Pool, a separated secluded area for swimming, relaxing or getting that California tan. 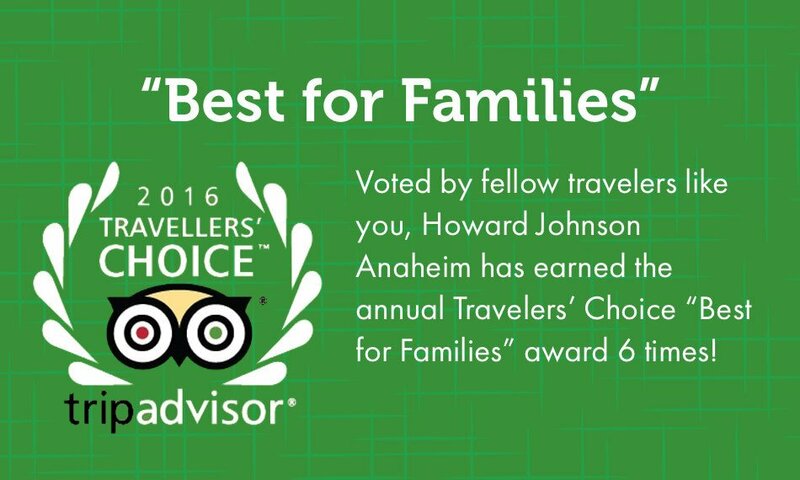 The Howard Johnson Anaheim Hotel is a six-time winner of TripAdvisor’s Top 25 Hotels for Families in the United States! 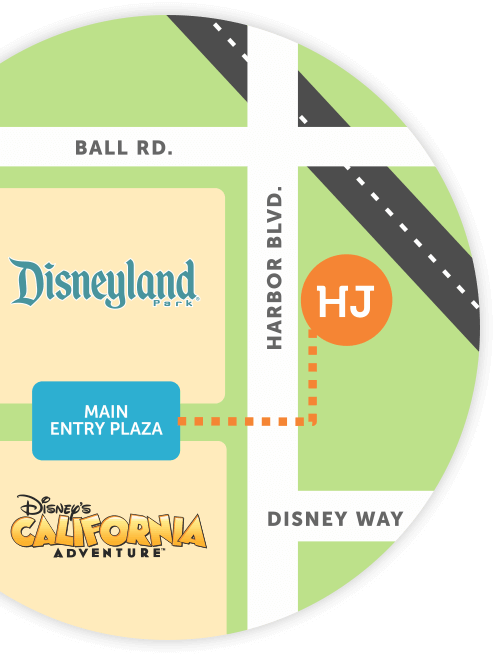 No other family hotel near Disneyland® Resort offers this level of service, amenities, location and value. Save on your upcoming trip to with exclusive hotel discounts! 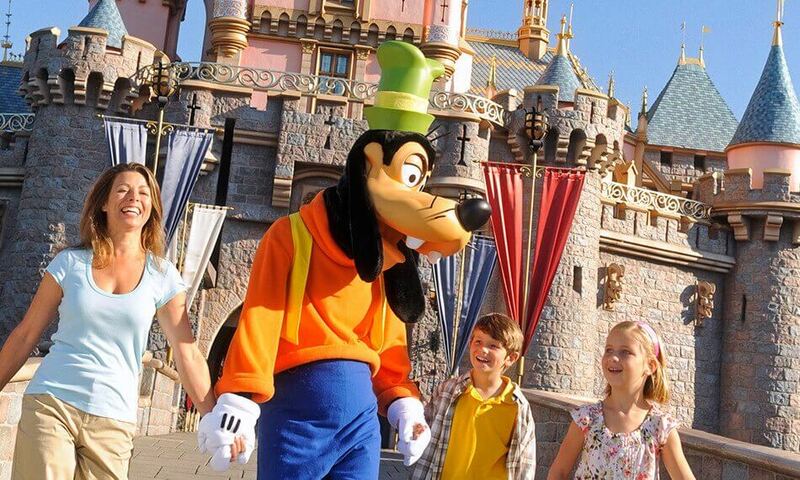 Earn Wyndham rewards, get exclusive promo codes, and enjoy more spending money for your Disneyland® Resort adventure!